A walk of about 3.3 miles. 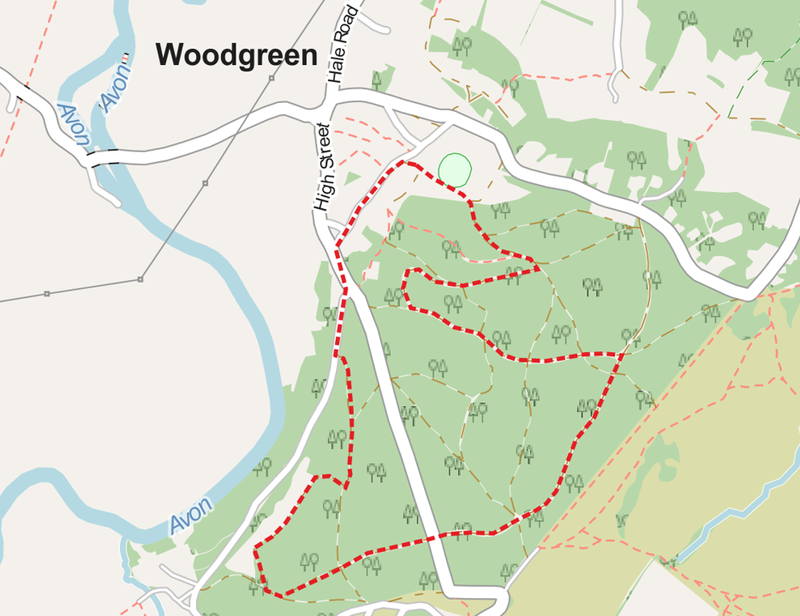 The route is a circuit under tree cover through Godshill Wood and Godshill Inclosure starting and finishing at the Common. You might even meet Bill! Godshill Inclosure was first enclosed in 1810. It was originally planted with Oak and Beech and some of these trees still exist around the fringes and on each side of the dividing road. In the 1900s it was underplanted with other broadleaves, predominantly Sweet Chestnut and Beech, with Scots Pine and Larch being introduced along the eastern fringes. More extensive areas were cleared and planted with conifers in the 1950s and 1960s on the higher ground in the core of the wood. From the Common, turn left along Brook Lane. Godshill Road At the end of Brook Lane, turn left up the hill. Castle Hill turning Turn right on the road to Castle Hill and continue to the first parking area. Godshill Wood Go through the gate opposite the parking area and follow the path for about 300m. Junction of paths Just after the path dips down and back up out of a muddy patch, take the right turn. Follow this path down and back up again. Left turn The path climbs back up and joins a wider path. Turn left along this track and continue along it to the road. Godshill Inclosure Cross the road to the wide path opposite. Continue on this path for 900m to an obvious junction in a clearing. Crossroads Take the wide left turning at a clearing. Follow the track down the hill. Path crossing After about 900m, as the track levels out, it reaches a crossroads of paths. Take the wider tracker on the right. Stay on this track as it winds round the valley and back up to the Common.